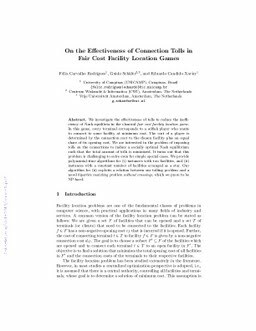 We investigate the effectiveness of tolls to reduce the inefficiency of Nash equilibria in the classical fair cost facility location game. In this game, every terminal corresponds to a selfish player who wants to connect to some facility at minimum cost. The cost of a player is determined by the connection cost to the chosen facility plus an equal share of its opening cost. We are interested in the problem of imposing tolls on the connections to induce a socially optimal Nash equilibrium such that the total amount of tolls is minimized. It turns out that this problem is challenging to solve even for simple special cases. We provide polynomial-time algorithms for (i) instances with two facilities, and (ii) instances with a constant number of facilities arranged as a star. Our algorithm for (ii) exploits a relation between our tolling problem and a novel bipartite matching problem without crossings, which we prove to be NP-hard.